As we gear up and get ready for our first ever road trip with Yarn in the City, we thought it would be nice to profile the shops that we'll have the opportunity to visit, the way we do leading up to the Great London Yarn Crawl. First stop on our road trip itinerary is The Shed - a former cidery on the outskirts of Bath as you're making your way into town. It now houses a cafe and bistro, farm shop and deli, as well as a gallery and handful of shops each with a unique focus and ideas for gifts galore. 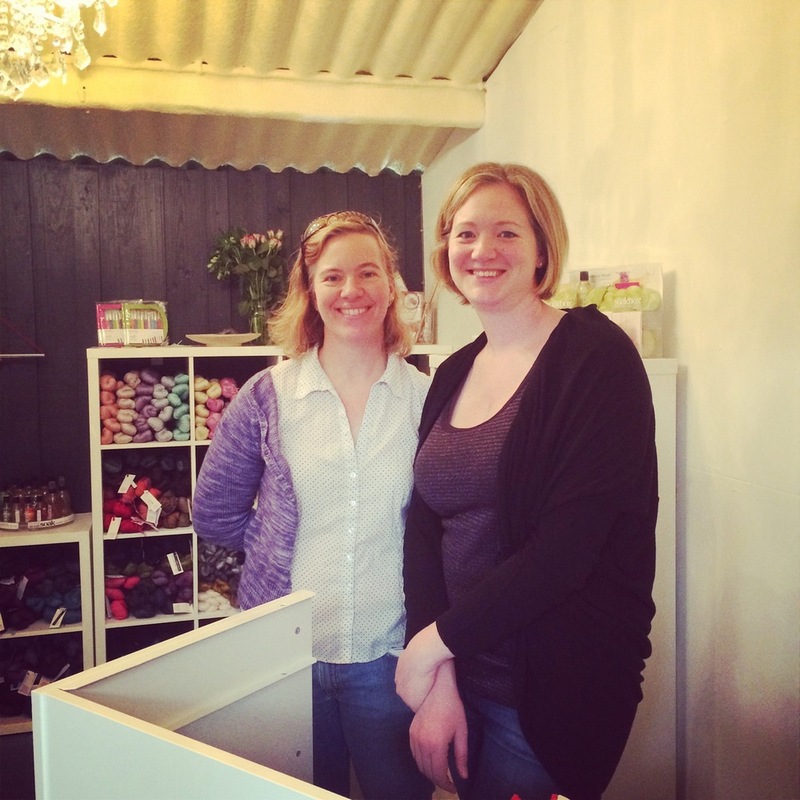 The Shed is now also home to A Yarn Story, Bath's newest yarn shop and wool boutique. Expat owner Carmen's focus is on bringing in luxury, hand-dyed yarns from around the world, and she's definitely delivered! The shop stocks some lovely fibres and blends from right here in the UK too. Brands that are stocked include The Uncommon Thread and Kettle Yarn Co., as well as delightful Hedgehog Fibres from Ireland. From farther away there's Shibui Knits, Malabrigo, and SweetGeorgia Yarns. And who doesn't love Cashmere?! Oh, and did we mention there's Porpoise Fur fibre too? While the shop may be tiny, it's extremely well curated. Everywhere you turn there's something lovely. Essential tools from ChiaoGoo and KnitPro are to hand, as is the delicate wash Soak, and some of their UK-exclusive Soakboxes too. In fact there are many knitting-inspired gift ideas in the shop from the pretty yet practical row counter bracelets for knitters from Abso-knitting-lutely to the just plain pretty bracelets and rings fashioned from vintage knitting needles from Yellow Bear Wares. There's terrific cards from Tilly Flop Designs too. If you fancy visiting Carmen in Bath, she's got a Grand Opening event planned for her shop on Saturday, 15th November from 2-7pm. There will be bubbly and 10% off all purchases. And don't worry! Carmen has told us that she will also have 10% off for participants of the Yarn in the City Road Trip to the Bath Christmas Market! Thank you Carmen, and we look forward to seeing you on the road trip!